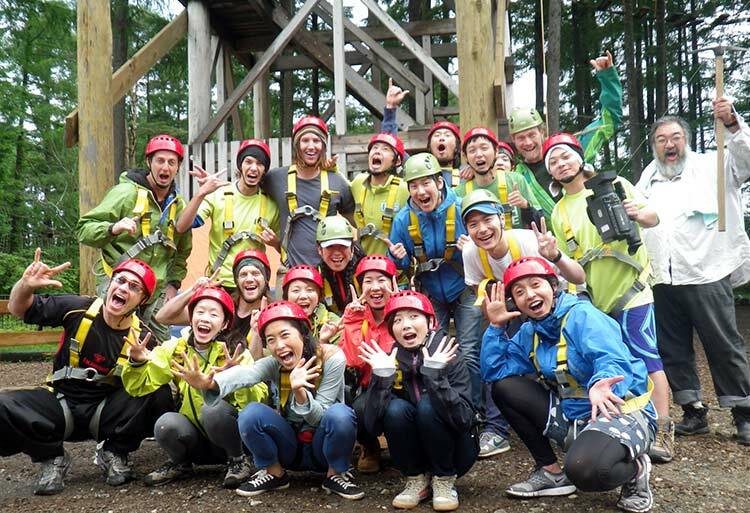 Taking a day or a weekend away for team building in Japan, in the beautiful Northern Alps, is the perfect way to develop and strengthen relations with your colleagues, team, students or group. We can arrange everything from your everyday activities, accommodation and food to your transport to the Japan Alps. We have years of experience running these programs and specialise in corporate programs. We can also cater to your groups needs and budget. Our unique adventure-based team building programs are arranged as a package where accommodation, meals, transport and activities are included in the total price. We are happy to create a customized program to suit your company’s needs. We are located in Hakuba Village in Nagano Prefecture. From our base here on Happo-one Skifield’s Kokusai Slope we will utilize the natural areas, parks, trails and waterways for your Team Building experience. As a Premier Four Season resort town Hakuba has many places to choose from – including 4/5 star accommodation with great conference facilities.